Now you can have it all. A single bowl sink that converts to a double bowl sink! Available in copper and stainless. Also available for virtually any brand of under mount sink with zero or near zero radius corners. Quickly turn almost any single bowl sink into a double bowl sink! Introducing Add-a-Bowl ™ This amazing idea is the brainchild of Ray Uvalle, our shop foreman. Imagine having the best of both worlds! Now you can have a single bowl sink with an added element bowl for soaking and more. This 12" wide and 16 1/4" by 5" deep bowl can be placed inside any of our existing (or new) Signature Series workstation sinks. Now you can soak items in the sink without having to fill the entire sink with water. 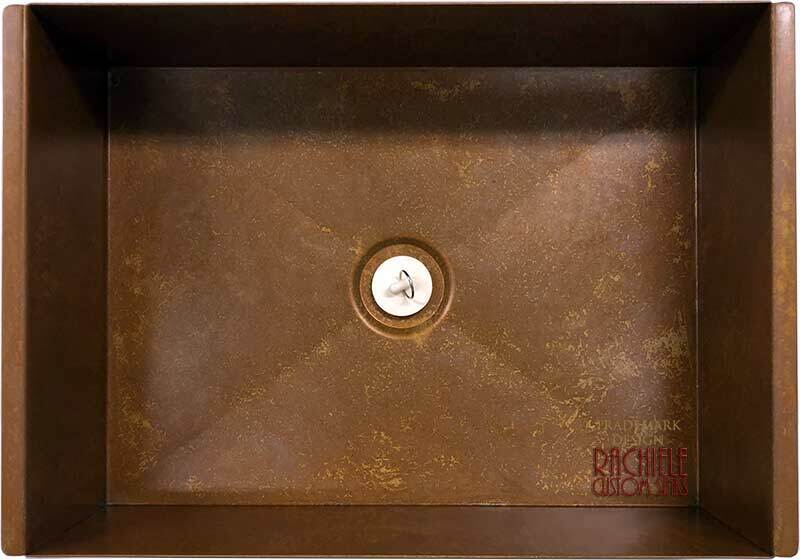 This Add-a-Bowl™ sink has a removable plug drain and can be conveniently stored under your sink when not in use. Imagine the possibilities. But wait... there's more! Take a peak at this video. Ray didn't stop there. 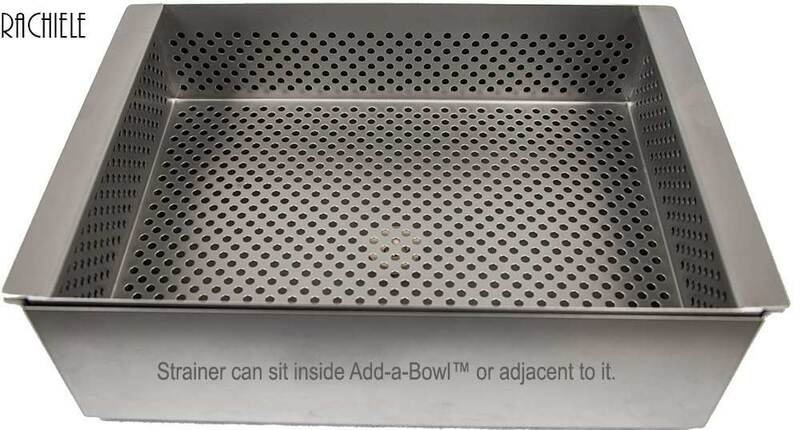 This Sink Strainer Element™ can sit alone on the Signature Series ledge OR drop inside the Add-a-Bowl™. This photo is a prototype. There will be an interior ledge to allow you to easily remove this from the Add-a-Bowl™. Now you can load the strainer up with veggies, drop it in the Add-a-Bowl™ and soak them. You can even pull it up and down to get more water circulation. Both the Add-a-Bowl™ and the Sink Strainer Element™ are available in all three stainless options as well as copper. 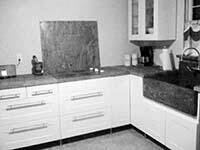 They are also available in any of our Signature Series workstation sink - no matter how old the sink is! 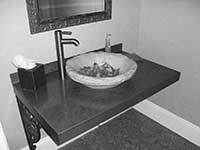 They are even available on our corner Signature Series workstation sinks. Elements Add-a-Bowl NEW! 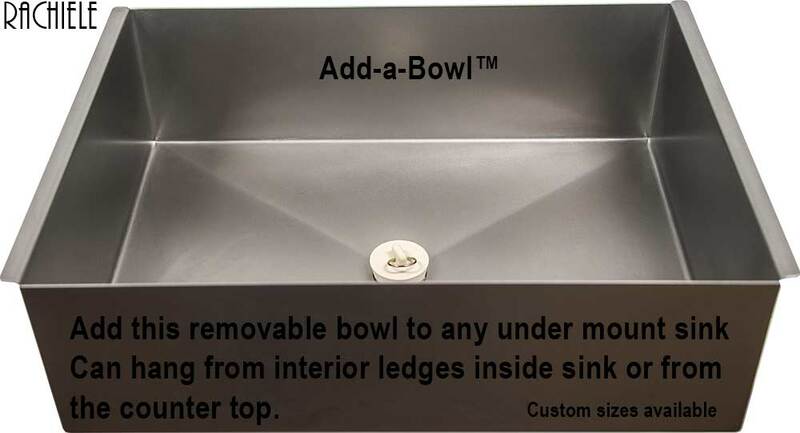 Add-a-Bowl™ to ANY brand of under mount rectangular zero radius sink! 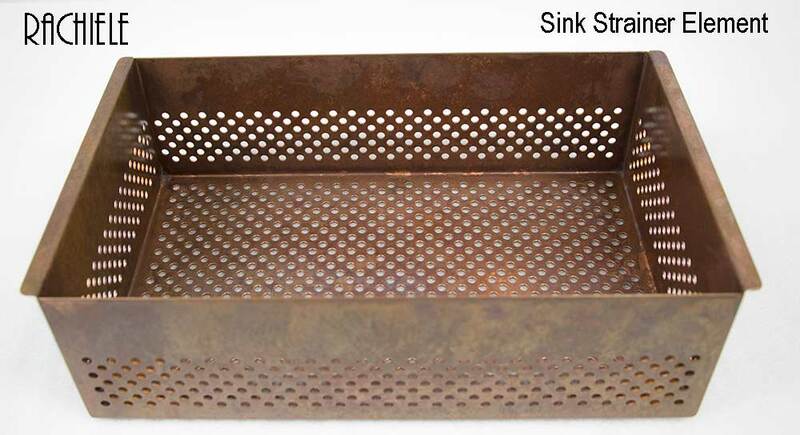 Sink Strainer Element - New, Add A Sink Strainer to ANY brand of under mount rectangular zero radius sink! See how all of our accessories work in a Signature Series workstation sink. 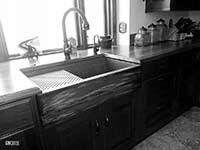 Convert your Signature Series Single bowl into a Double Bowl Sink! Add A Vegetable Strainer too!